Next to the the Lemon,Lime, Campari Sorbet this is my second favorite summer drink. It’s cold and refreshing, creamy and delicious. I made this drink with more lime than pineapple and used unsweetened coconut milk and lime simple syrup so that I can control the sweetness. 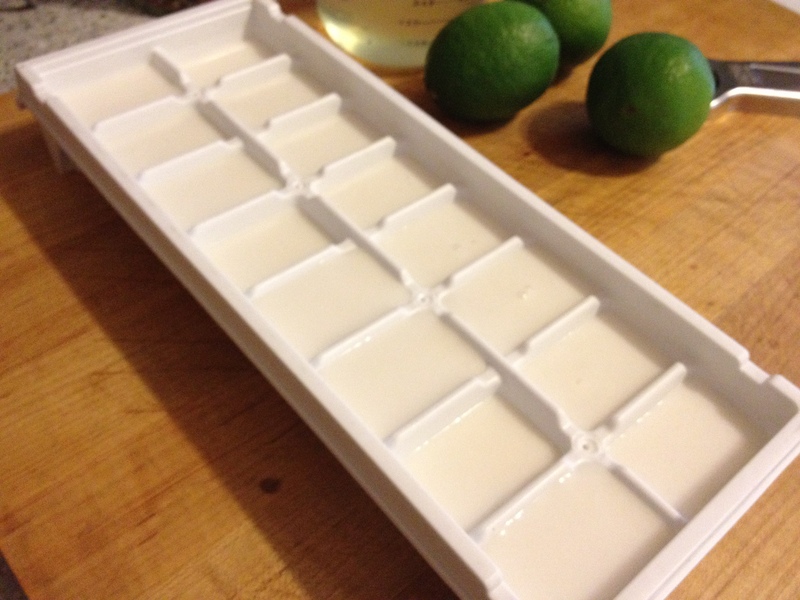 I also did not use crushed ice I find it waters it down so instead I froze the coconut lime mixture in an ice cube tray. The cubes are solid but easy to break up in the blender. The result is a slushy coconut lime and pineapple drink that is so refreshing. You can add as much rum as you like or make it virgin, it’s equally as delicious. One other cool thing about this drink is that because the drink base is frozen in ice cube trays you can make 1 or more and leave the rest in the freezer for use later on. Remove the cubes place in freezer bag and store in the freezer. In saucepan add sugar and water, bring to a boil let boil for approximately 2 minutes until sugar is completely dissolved take off heat, add lime peel. Cover and let sit until cool. Remove the lime peel. Store in jar in refrigerator. You can easily double this to make more simple syrup. 2 -3 ounces Pineapple juice (unsweetened) Start with two and if you need a little more liquid to break up cubes in blender add another ounce. To your food processor add the quartered lime and coconut milk. Process until lime is pulverized. Strain into measuring cup.Add 4-6 tbs of the lime simple syrup. (Adjust the sweetness to suite your taste. Pour into ice cube tray and freeze. 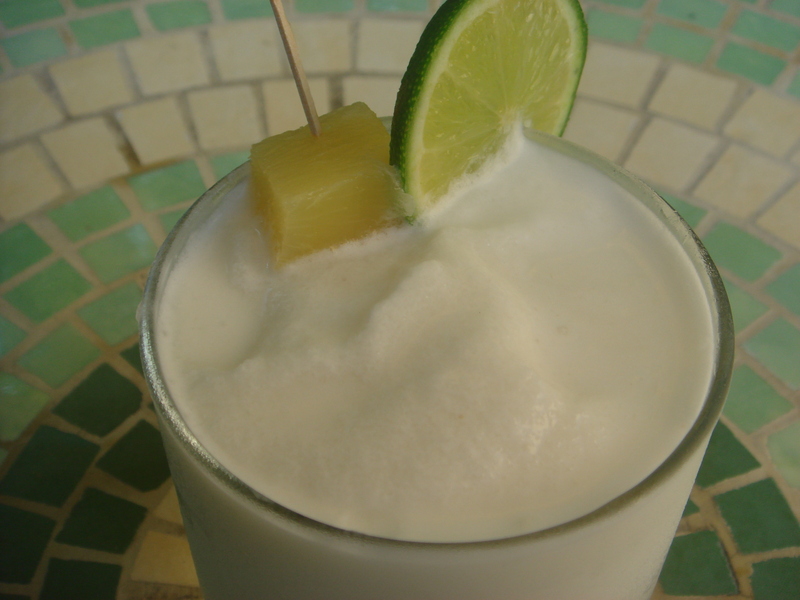 When coconut lime is frozen remove from ice cube tray, place in blender (depending on the proficiency of your blender you may want to break up the cubes) add pineapple juice and rum and blend until the cubes are broken up and it’s a slushy consistency. Pour and serve. Garnish with lime and pineapple. Today’s featured recipe is from Sara, her cooks name on Food52 is hardlikearmour. She is a Veterinarian, experienced and prize winning cook and a cake decorator, her cakes are amazingly beautiful and professionally done. Her recipes are approachable, comforting and so very delicious. 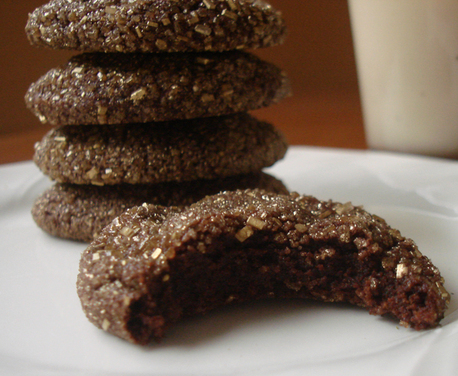 This recipe for her soft, spicy chocolate cookie is just one of her 110 recipes on Food52. She has been a finalist and/or won prize after prize on both Food52 and Whole Foods. Her Pear and Rosemary Danish is unbelievably delicious and won the contest for Best Recipe for Pears on Food52. Her prize winning recipe for State Fair Cream Puffs is so wonderful, you will think you have died and gone to heaven and the Bourbon Chocolate Whipped Cream filling is truly heavenly. It’s not just sweets that Sara specializes in, her savory dishes and drinks are amazing also, try her incredibly complex and delicious Chili El Pastor one bite and you will understand that she is a master at blending and balancing spices. I am also including my favorite summer drink that she developed. I triple the recipe every time I make it, Sara’s Lime in the Coconut Float is made with a delicious lemongrass and Lime simple syrup. The simple syrup makes an outstanding drink when added to seltzer or make the float, either way it’s absolutely delicious. Please visit Food52 and peruse her recipes, you will want to make each and every one, they are all so good you will have a hard time deciding which to make first and many of her recipes I make over and over, they are just that good. Preheat oven to 350º F with a rack near the middle. Line 2 to 3 baking sheets with parchment paper or Silpats. Cream sugar and butter using a stand or hand mixer, until light and fluffy, about 2 to 3 minutes. Add eggs and extracts, and beat until well-combined, about 1 to 2 minutes. In a separate medium sized bowl, whisk together flour, cocoa, baking powder, cinnamon, cayenne, and salt. Add them to the sugar and butter mixture, and mix on low speed until the flour has been incorporated. Increase to medium speed and mix until well-combined, another minute or two. Roll dough into 1- to 1 1/4-inch diameter balls, then roll balls in sugar. Place 12 to 15 balls on prepared baking sheets – stagger 3 rows each of 2 and 3 balls to get 15 on a sheet. Flatten balls slightly, so they are about ¾-inch thick . Bake one sheet at a time for 9 to 9 ½ minutes, rotating the baking sheet after 5 minutes. The cookies will look puffy, and may seem like they’re not done, but they will be perfect! Allow to cool on the baking sheet for 5 minutes before removing the cookies to a cooling rack. Once cool store in a sealed container to maintain perfect texture for at least several days. Cook’s notes: 1.) 1/2-teaspoon cayenne gives a pleasant warmth to the back of your throat after eating a cookie or two. If you’re not a fan of heat, feel free to scale back or omit the cayenne. 2.) If you prefer to use regular cocoa powder just add 1 teaspoon baking soda and decrease baking powder to 1/2 teaspoon. Thinly slice lemongrass and set aside. With a vegetable peeler remove the lime zest in strips trying to avoid getting much white pith. Set aside. Juice the limes and set juice aside for making the soda. Combine water and sugar in a small saucepan. Heat on high, stirring or swirling occasionally to dissolve sugar until it boils. Boil for 30 to 60 seconds. Remove from heat. Add the lemongrass and lime zest, cover with a tight fitting lid, and allow to cool to room temperature. Pour through a mesh strainer into a glass jar. Cover and store in the refrigerator. 1 to 1 & 1/2 tablespoons lemongrass & lime syrup1 tablespoon lime juice2 scoops coconut sorbet (about 1/2 cup total)seltzer, cold Combine syrup and lime juice in a 12-oz glass. Add sorbet. Slowly pour seltzer over the sorbet, it with froth up pretty fiercely. Stir gently after glass is about 2/3 full. Continue to slowly fill glass with seltzer. Serve immediately with a straw. 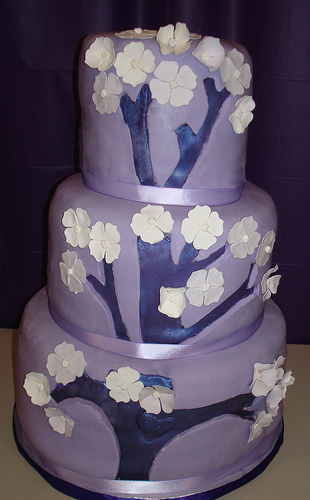 I want to leave you with a picture of just one of the beautiful cakes that Sara designed. 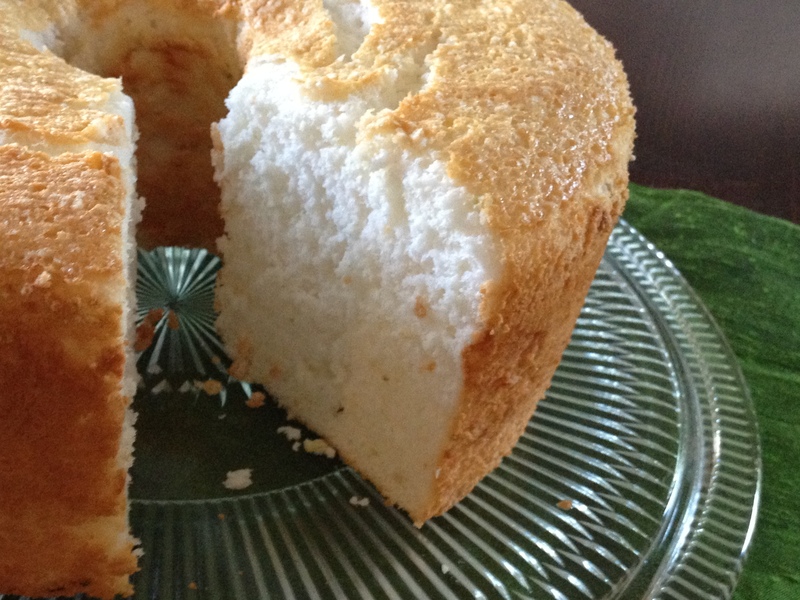 This months Bake Together with the always fabulous Abby Dodge is angel food cake. 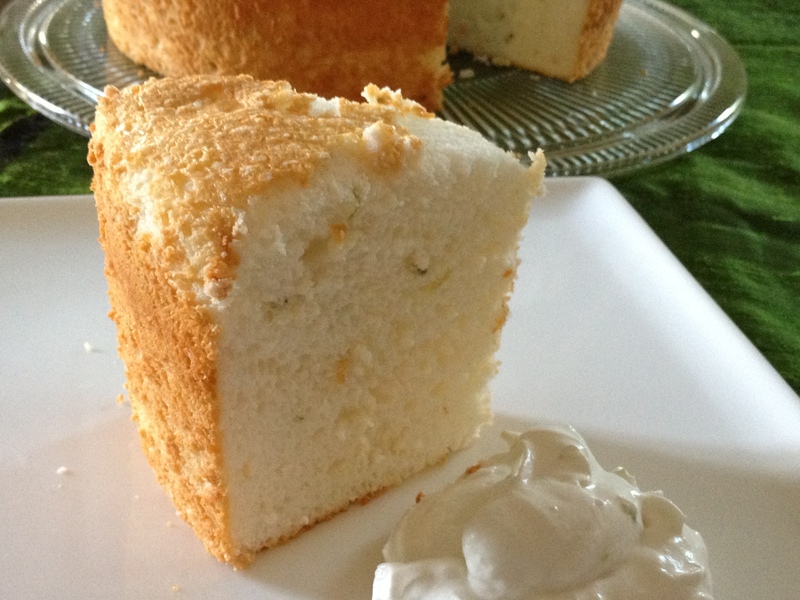 This cake is inspired by the flavors of Thailand using thai basil, coconut, lemongrass and lime. I used Abby’s cake recipe as the base and added my own touches. For the cake I infused the sugar with lemon grass, and add the lime zest and thai basil to the batter, the cake has lovely green flecks from the basil and lime and a subtle lemongrass flavor. The whipped cream is also inspired by many of the same flavors, in the food processor I ground confectioners sugar and coconut flakes and let the sugar infuse with the coconut, I then sifted it before adding to the whipped cream so it would be smooth and creamy (you don’t have to sift if you want a little texture) and whipped in some coconut cream and a little lime zest. I put the can of coconut milk in the refrigerator the night before making the cake, when you open the can use the thick coconut cream on the top don’t mix it with the liquid beneath. Heat oven to 350 degrees. Add 1 cup sugar to food processor with the lemongrass, process until fully combined and there are no large pieces of the lemongrass. Sift before adding to the egg whites. Sift flour, confectioners sugar and salt three times and set aside. Sift 1/4 of the flour mixture over the beaten whites. Using a large rubber spatula, gently fold the dry ingredients into the whites. Repeat with remaining flour mixture, one quarter at a time. With the last installment of flour add the chopped basil. Using the spatula to gently coax the batter, pour evenly into the prepared pan. Smooth the top. Bake until the cake is light golden brown and the cake is springy when touched, about 40 minutes. Immediately invert the pan onto the counter if the pan has feet or if it doesn’t, invert the pan sliding the center tube onto the neck of the bottle. Let cool completely. To remove the cake, rotate the pan, gently tapping the bottom edge of the cake pan on the counter as you turn it until the cake loosens from the pan. If necessary, run a long, thin knife between the cake and the pan and around the inside of the tube to loosen the cake. Slip the cake from the pan and gently lift it up from the center of the pan and arrange on a flat serving plate. While the cake is cooling infuse the sugar with the coconut. Add 1/2 cup confectioners sugar to bowl of food processor, and 1/4 cup coconut flakes and pulse until combined and very fine. Place in covered container and let sit until you are ready to whip the cream. Sift the confectioners sugar to removed any pieces of coconut. In mixing bowl pour the very cold heavy cream into a chilled bowl, Using either hand held mixer or stand mixer whip until it starts to thicken, add the cold coconut milk (NOTE: Scoop the cream from the top don’t mix it up), lime zest and infused confectioners sugar (taste to test for sweetness you may not need to use all of the infused sugar) and whip until billowy and soft peaks form. Serve with the cake. Making fish sticks is simple and really so much better than buying commercially prepared frozen ones from the supermarket. They take almost no time to prepare. I know its easier to buy pre-made foods, but why not make your own, you have control over the amount of salt and know exactly what is in them. Ketchup is always great for dipping but I made an aioli that is slightly more sophisticated, don’t get me wrong, I love ketchup but sometimes you just need or want something a little different. You can make the fish sticks and freeze them all you need to do is heat them in the oven and you have a quick and delicious meal in a snap. To make the garlic olive oil. You will need a small sauce pan add the 2 peeled garlic cloves to the olive oil and simmer on very low heat until garlic is soft be very careful not to let the garlic get brown turn off the flame after just a few minutes and let the garlic sit in the oil until it softens.. Let cool before making the aioli. I like to make this infused oil ahead of time, sitting overnight gives a more profound garlic flavor. Add to blender the 2 egg yolks, the cooled cooked garlic cloves, lime juice, lime zest,tarragon salt and pepper. Blend until smooth. With blender running slowly add the vegetable oil and garlic infused olive oil. The aioli will be thick and creamy and a lovely light green. Adjust seasoning and citrus to your taste. Heat your oil I like to deep fry the fish sticks, approximately 4 inches of oil in a heavy fry pan. 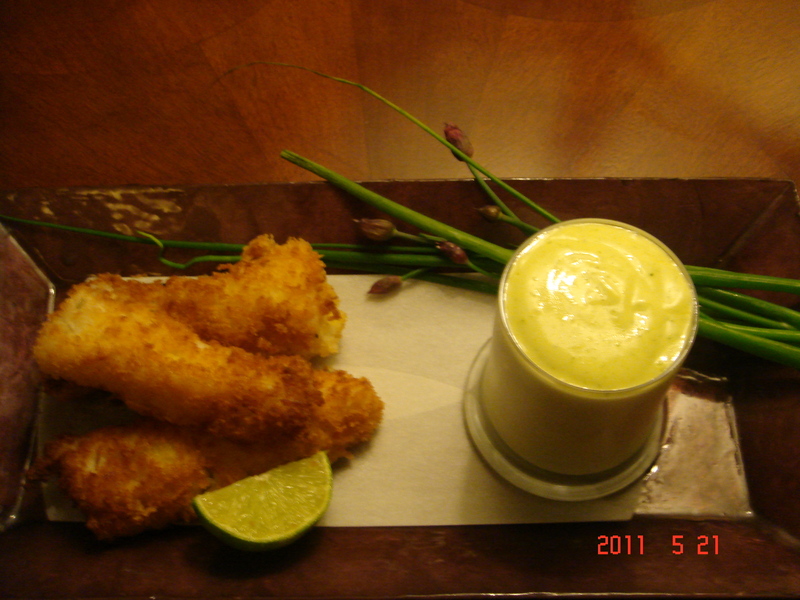 Cut your fish into pieces, dip in egg and then in panko. Serve with the aioli or whatever dipping sauce you like.